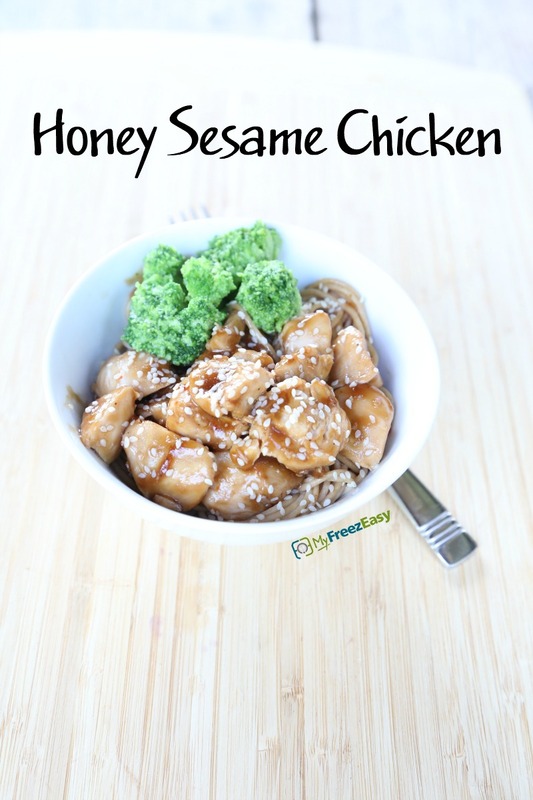 I adore this honey sesame chicken. It’s a simple, homemade sauce that simmers, as the chicken sears and caramelizes the flavors and sauce right onto the meat. The onion juices seep into the honey sesame sauce as it all cooks together in a skillet or wok. Serve it over some Sticky Rice and you’ve got the PERFECT make-at-home Chinese takeout dinner! Cut the chicken breasts into bite-size pieces. Dice the white onion. Heat the canola oil over high heat in large skillet or wok. Add the chicken pieces, diced onion, and marinade and saute over high heat for 10 minutes, or until chicken is cooked through. Add salt and pepper, as desired. 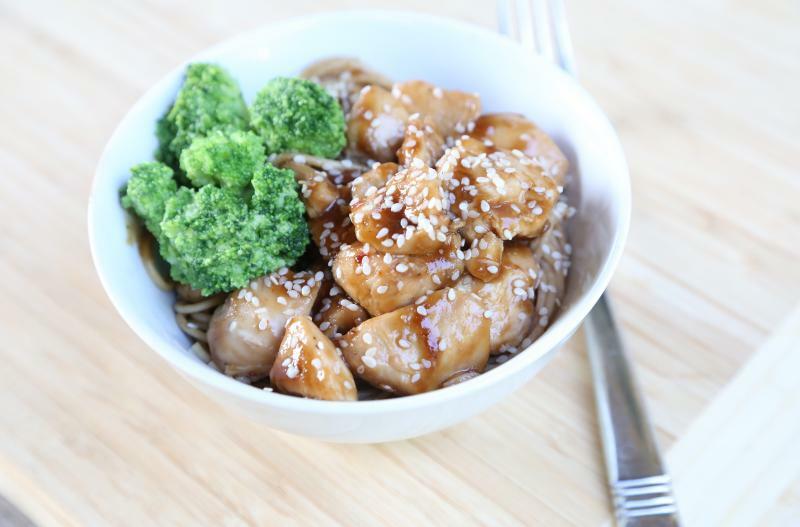 Serve Honey Sesame Chicken over rice with veggies. Cut 6 chicken breasts into bite-size pieces. In a small mixing bowl, whisk together the 1 cup honey, 1 cup soy sauce, 4 Tbsp rice vinegar, 4 Tbsp sesame oil and 4 tsp minced garlic. Put baggie in the freezer and freeze up to 6 months in fridge freezer or 12 months in a deep freezer. Thaw in the fridge overnight, or a warm bowl of water for about 20 minutes, before transferring to the skillet and cooking as directed. Thaw and cook in skillet over high heat for 10 minutes, or until chicken is cooked through.